Washougal mayor Stacee Sellers is in a bit of hot water over what may be improper use of taxpayer funds for personal expenditures. Just as if not more relevant is candidate Jon Russell, running for the 3rd Congressional District seat held currently by Brian Baird has unwittingly revealed his own lack of experience or naivete in the matter. From the accounts given, Russell reveals himself as having no idea about the expenditures even though he sits on the Washougal City Council Oversight Committee. In part he says this is due to the mayor preventing him and other council members from seeing expense reports and blocking them from talking to department heads. Jon, if you cannot stand up to the mayor of a small town of 9,000 citizens, how would you ever stand up to the likes of Nancy Pelosi? What happened to the Administration’s highest initial priority, Financial Stabilization and “Reform”? Now after a seemingly failed Stimulus package, Cap & Trade, Cash for Clunkers, and the Health Care Debacle, where is the Financial Reform promised? Certainly, based on recent headlines, the real estate financing markets seem to remain in much the same disarray! Why are you dithering on financial reform, Mr. President? Instead of bringing over Indian engineers, HCL has been hiring American employees who otherwise might have been let go by clients switching the work to HCL, Mr. Srikrishna said. Last year, HCL hired more than 1,000 employees from clients and received just 87 H-1B visas, he said. In addition, would-be immigrants from India and China are finding new career opportunities at home as those economies grow relatively quickly while the U.S. economy sags and its political climate appears less welcoming. Isn’t it ironic — but appropos — that Nancy Pelosi announced today, October 29, 2009, the Liberals’ imposition of Government Health Care, Obamacare Smiley Face Facism Uber Alles, which will crash the economy and reduce citizens to serfs dependent on Government bureaucrats, on the anniversary day of the stock market crash and beginning of the Great Depression on Oct.29, 1929? I note Pelosi said that the new government national socialized health care will cover “36-million” uninsured. That is really evidence of Liberal magic — Obama has consistently cited 46-million uninsured. Look how wonderful Liberal Neo Socialist Happy-Face Fascists are — they solved the health care problems of 10-million Americans just talking about Socialized Health Care. From 46-million to 36-million by just a little tongue work by Pelosi and Obama. And those 36-million remaining after 10-million of Obama’s 46-million no longer needing to be included in the government-dependent class the Liberals are creating, who are they? Although Pelosi, Obama, et al. keep speaking about the “poor,” the poor are already receiving socialized health care through Medicaid. So, if they are not “the poor,” who are they? Dare I ask the obvious: Could any of these 36-million be the affluent who can afford medical insurance but decline? Could it include the young adults who have no trouble finding the money for car insurance premiums but are without the ability to afford to afford health insurance, or who simply thumb a nose those who think that anyone who can afford car insurance premiums can afford some level of health insurance and should not be burdens on taxpayers for their health insurance? Could any of these 36-million now remaining after Pelosi and Obama have miraculously satisfied the health insurance needs of 10-million of the claimed 46-million uninsured, be among the 12-to-20-million “illegal aliens” (the term for them at law) parasitically present in the U.S.A., allegedly the land of “greedy Gringos,” as many say? Alas, it may be so. Medicaid has an apparent “don’t ask, don’t tell” policy Liberals like. That is, the apparent “don’t ask, don’t tell” practice of Medicaid, and related state programs, is for those redistributing taxpayer’s taxes from those pay taxes to those who don’t (now some 49% of the population), not to “ask” if the applicants for taxpayer-paid health care, for instance, a gentleman with doleful eyes, rough hands, and a sad countenance, applying for Medicaid with the aid of a translator from Spanish to English, and the Spanish-speaking woman with him, and the ten Spanish-speaking children with them, might be present “illegally;” nor to require them “to tell” and prove where they were born and what documents attest to their right to be in the country. “Hello, I have a problem. A wonderful family whom I know, with five children, has a very sick child. They have no insurance. And they are very poor. Can you help them? “Yes, we should be able to assist them if they meet the income standards,” the government agent informed. “Well, the problem is, they are here illegally. They are undocumented. They are very frightened. They need help. I don’t know what to tell them. Can you help them if they are illegal? I cannot express how good it makes me feel to know that those who are working for the government are so generous, so compassionate, that admitted “illegal aliens” will be enrolled in the taxpayer-paid health insurance system, and will not suffer the indignity of being asked if they are here legally, nor required to tell whether they are possessed of documents showing they have a right to be in the country, in order to have the right to health care at others’ expense. Also, I have to express my joy in knowing that the Obama’s daughters have received their Swine Flu shots in their ultra-expensive private school, while my daughter–and no doubt yours, in Oregon public schools — have not, and will not. My wife called our pediatrician to find out if our daughter would be able to get a shot. She was told, “We are giving priority to children under two and pregnant women,” that they had no idea when we might get a shot for our daughter. A small price to pay to ensure that illegal aliens, the President’s daughter in private school, have or will get their shots. Obamacare is compassionate care, not doubt about it. For instance, The New York Times reported today that children in New York schools are getting Swine Flu shots–the news being that some are refusing the shots. That is, receiving shots the Oregon children cannot get, under this aspect of Obamacare. But, how does it happen that New York school children can receive Swine Flu shots, and the Obama’s childen, yet the children in Oregon must stand and wait — including for illegal aliens to get their shots. We know this is happening because the liberal, ever-so-politically-correct Oregonian ran a front-page sob story and photo about the Immigrants & Refugee Center in Portland being overwhelmed by some 1,200 immigrants and refugees seeking Swine Flu shots when the center had only “500” available. Five hundred? How is that 500 doses of the vaccine were made available to immigrants and refugees at the Center when citizen children cannot receive vaccination? He was then asked how it was that New York was providing flu shots to its school children, but Oregon school children don’t have the same right. He said we might receive more vaccine in the coming weeks. When he was asked why does it appear that Oregon is being “short changed,” he said he had “no idea.” No idea? Shouldn’t the Congressman purporting to represent this District in Oregon have an explanation so as not to be perceived as a kind of political Chihuahua licking the hand, or shoes, of Obama, going along to get along, so to speak? So, some officials, administrators, and employees of the State, are deciding which children and others in Oregon will receive Swine Flu shots, and who will not. As noted above, it is clear that the decisions are being influenced by political, not medical, considerations, as evidenced by the Oregonian’s report on the decision to make sure five-hundred shots were provided at the immigrant and refugee center. Right. Soon to have expedited amnesty or citizenship and register to vote for those who, like the patrons at home, “gave” them their shots while citizens waited. We know from the office of Rep. Wu, a carrier of Obama’s Smiley Face Fascism, that it is the “State” which is making the decisions on who gets the vaccine and who does not. But the state is not an abstraction or a mechanical device — it is people, government bureaucrats and employees, who have as their first consideration their own careers and families and pleasing them political bosses, and it is they who are deciding who gets care, in this instance, protection from Swine Flu, and who does not. Who will be making these decisions when Obamacare is imposed nationwide, as Nancy Pelosi, multi-millionaire wife of a multi-millionaire, enthused today, in announcing that the “public option” Bill of Pelosi in the House and Reid in the Senate will be brought to a vote. 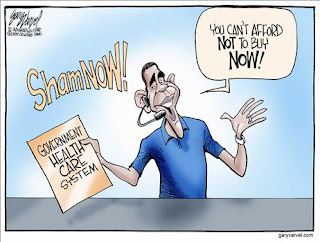 Indeed, who will decide who gets what care under Obamacare, and to what does that reduce Americans “born to be free”? Here is the new healthcare bill Pelosi unveiled today before selected friendlies. All 1990 pages of it. See how many tax increases you can discover in it. If you’d rather not look through the 1990 pages, there is a short list here. After spending alot of time on the freedom sucking Climate Action Plan 2009 on the show yesterday, I thought I’d better write down a few questions I had about the adopted plan. I will send these questions to each and every elected official who had his/her hand on this report. Please suggest other questions you’d like me to include. You can leave the questions in the comments section or email me at victoria@victoriataft.com. If we walk or ride a bike? How we choose to maintain our homes? Please cite specific areas of the charters. Fighting man made global warming. If it’s shown that CO2 does not cause temperature increases will you cease this plan? What is the ideal climate? Please state climactic conditions, ideal temperatures in every Portland/MultCo microclimate. Please explain how those microclimates have changed in the past 30 years. You say in your goals for Buildings and Energy that you want to ensure that new buildings and major remodels can adapt to the changing climate. In what way is the climate changing drastically from the way it is now? When will that/these change/s occur? On what science (specific citations) do you base your assumptions? How will the government measure the per person carbon emissions? You say you wish to “motivate” people to “change their behavior in ways that reduce carbon emissions.” You will do this by “establish[ing]…metrics by neighborhood [to] measure…household energy use, vehicle miles traveled, walkability and bicycle commute rates. Will neighbors be required to report on non-compliant neighbors? How will you accommodate the growth in the number of people without increasing their CO2 emissions? How many jobs will this region forgo to accommodate the government’s plan to reduce CO2? How will the shortfall of tax receipts be made up? Are all trees the government’s property? Considering the area is home to thousands of acres of forested parkland, why is expanding the ‘urban forest’ important? Will the regions property owners retain all constitutionally protected property rights? If not, why not. Are trees more important than individual liberties? The government plan says it wishes citizens to eat less carbon intensive foods. What if citizens can’t afford those foods? Will the city feed those people? How will the government pay for feeding its citizens? Will you allow new development to include a sizable back yard to accommodate the government goal of growing our own food? If this is a requirement eventually, will the government provide weed abatement, fertilizer and staff to accomplish said goals? Why is it important to government if a person walks or rides a bike? Is it the government’s job to know? If so, why? What is the definition of freedom to the working groups and elected officials who came up with this plan? Did you consider economic freedom in your assessments? You identify restaurants, pubs, drug stores, convenience stores and laundromats as those businesses which contribute to a vibrant neighborhood. Will the government use its permitting process to give advantage to approved businesses? Considering the government claims to know the weather in the future, does the government also forecast the future innovations of businesses likely to be created and make accommodations for those in “vibrant” neighborhoods? How will government pay for this? Will you force people to pay a portion of their incomes to implement your plan? How much would each citizen have to pay to implement the government’s plan? How many hours per week of work do you think the average citizen should work to pay off the government’s plan? What is the government prepared to do to reduce citizens’ garbage waste? what is your plan for vector control? What is the carbon footprint of a rat? Two rats? Thousands? Here. Thanks for your generosity of spirit.